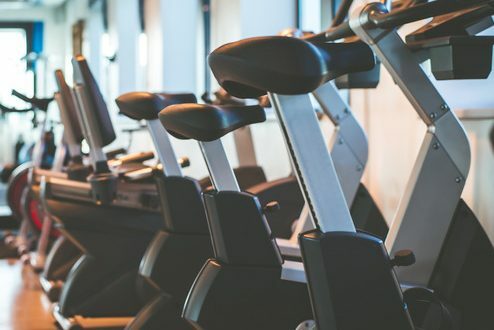 Is a recumbent bike or an upright bike better for helping you meet fitness goals? Because these bikes target different muscles the benefits really depend on your goals. Which bike should you choose? Here’s what you should consider. Unlike an upright bike a recumbent bike provides support for your back and spine. Think of the action of using this back as similar to what it would be like to pedal from a chair. Because weight is more evenly distributed using a recumbent bike the user is afforded more stability. Recumbent bikes typically feature a larger seat than upright bikes and pedals that are positioned in front of the body. These features make it virtually impossible to fall off. • Particularly if stability or balance is of concern, a recumbent bike is a good option for getting exercise safely. • The design also requires less of the body, which means you won’t tire as quickly. • Recumbent bikes target the hamstrings better than upright bikes. • Good transition exercise after injury or illness because it is gentle on your back and joints. • Because the bike is so stable it is easier to read a book or magazine as you pedal. This is likely the picture that comes to mind when you think of the word bike. Although there are no wheels, the upright bike positions the body much like the two wheeler you used to love. Your bottom rests on a smaller seat, there is no back rest and the pedals are under, rather than in front of your body as with the recumbent bike. Less stability and support means that balance will be important for exercising safely. • Upright bikes demand more of you so they burn more calories than recumbent bikes do. • You will engage more muscles. Upright bikes target your abs, glutes, back, arms and even your neck. In fact, upright bikes provide a total body workout while recumbent bikes do not. • Simulates outdoor riding so it is good practice in bad weather if you are training or preparing for a race. You will also engage the same muscle on an outdoor bike that you will on an upright bike. You will get more of a workout and burn more calories using an upright bike. That doesn’t mean a recumbent bike shouldn’t be part of your workout plan. Include it on rehab or cross-training days. If you want to give your arms a day off, hop on the recumbent bike. If you are training for a triathlon and the weather stinks…head for the upright instead. At the end of the day what matters most is showing up for your health. That means finding a way to exercise…no matter what equipment you choose.